Use your dehumidifier to work at its optimal performance level. Having a dehumidifier works wonders if you’re concerned with dust mites, molds, and allergies in your home. They also get rid of musty odors that may accumulate on your furniture, clothing, and linens like your bed sheets and curtains. People prone to allergies benefit from its cleaner, fresher air it filters making breathing easier and aids to skin rashes and other allergenic issues. But for your dehumidifier to work its wonders, follow these tips to create a better experience for you and your home. Put more years on your humidifier by changing out its water collection tank water daily or after each use. 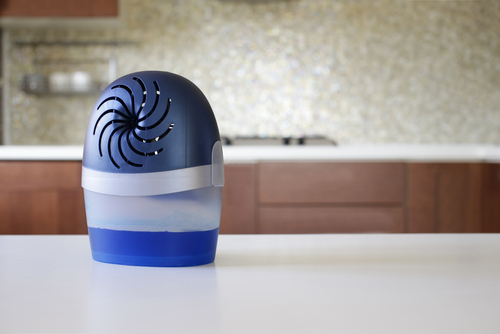 Not only does it operate better, but it’ll keep its humidity cleaner and more effective. To benefit more from your dehumidifier, placing it in the right area of your home will prevent mildew. Dehumidifiers work best between walls and furniture specifically in basements, bathrooms, kitchens and closed rooms. If you also have a spa or indoor pool, they work best in these spaces too. Keeping floor space free of debris before turning on your dehumidifier works best. Especially if you or your family are prone to allergies, vacuuming your carpet helps keep dust and dirt from spreading to other areas of your home or into the air you breathe. and be sure the temperature settings are properly adjusted. 30%-50% is the ideal level of humidity your device should be set to. It’s best to use your dehumidifier when there’s excess moisture in home. Turn it on after hot showers, during laundry loads or when areas of your home feel damp. Look for dehumidifiers with the energy star label. If you’re concerned with energy efficiency in your home environmentally friendly dehumidifiers produce 10-20% less humidity. Running dehumidifiers while your heater runs saves you power as well. Remember, water vapor collects in your air and has nowhere to escape especially in a closed room. Increase the air circulation in your home by turning on fans, vents, and open windows to achieve a constant flow of fresh air.